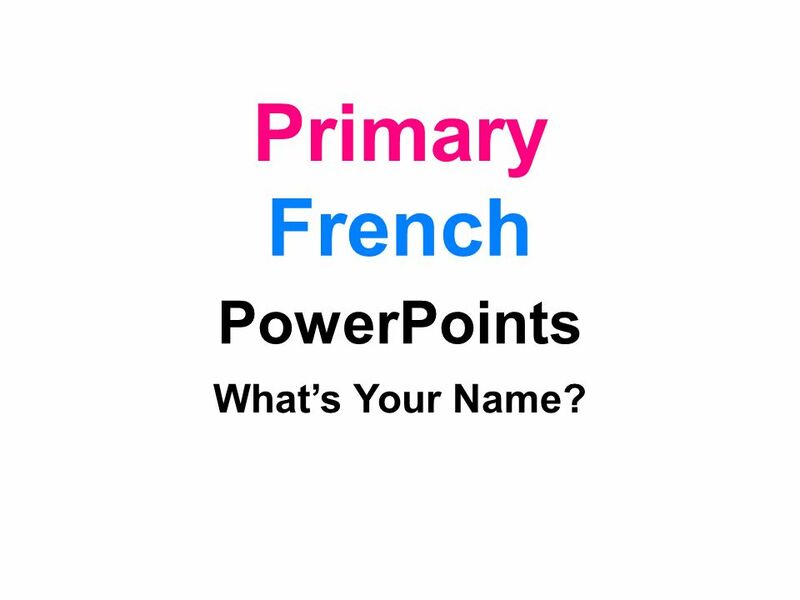 1 Primary French PowerPoints What’s Your Name? 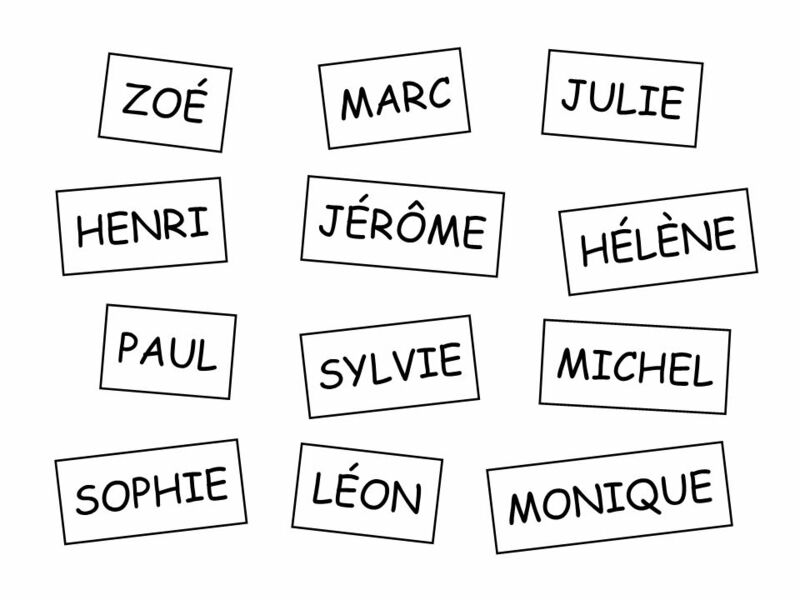 31 Comment tu t’appelles ? 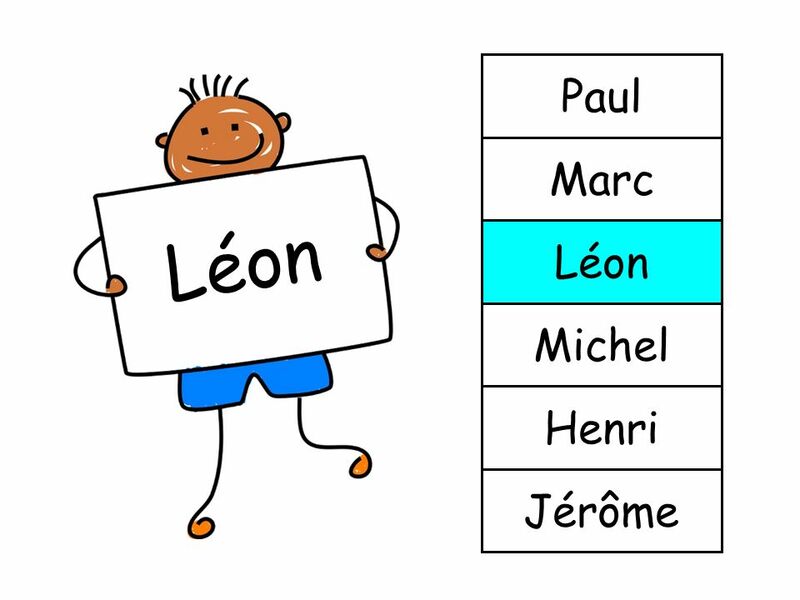 Je m’appelle . 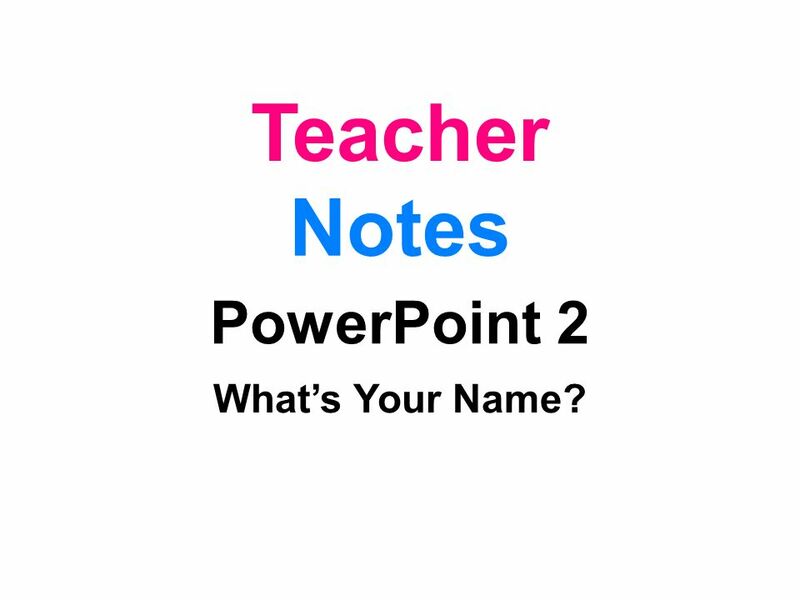 . .
32 Teacher Notes PowerPoint 2 What’s Your Name? 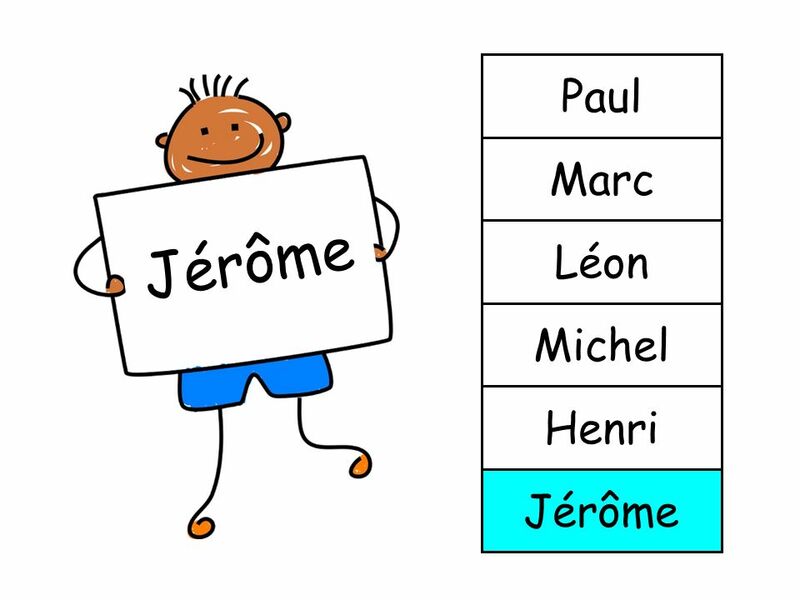 Je m’appelle (I am called) and their names. 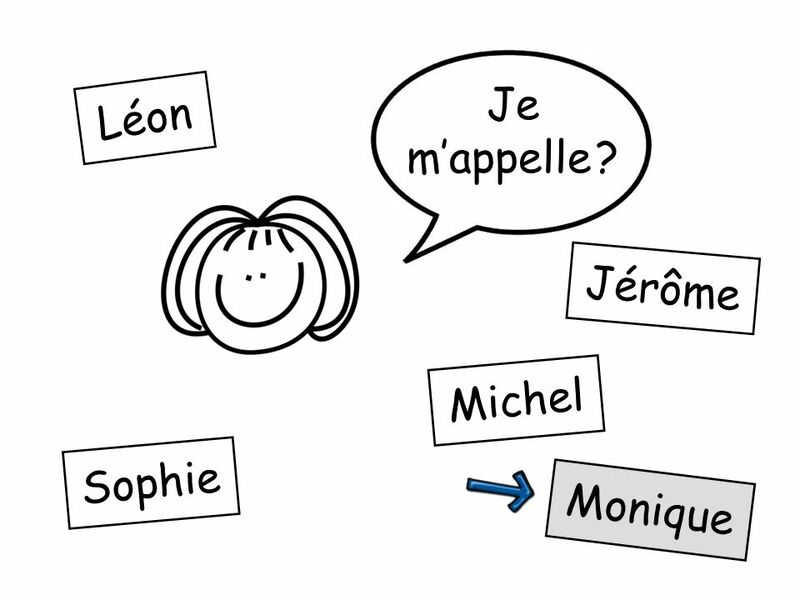 Ask children to work out what the characters are saying. 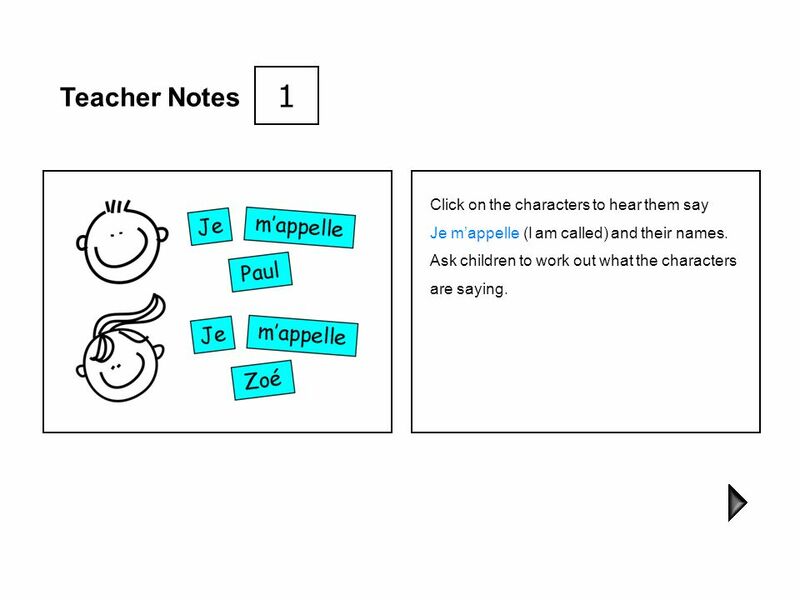 34 2 Teacher Notes Listen to a selection of French male names. 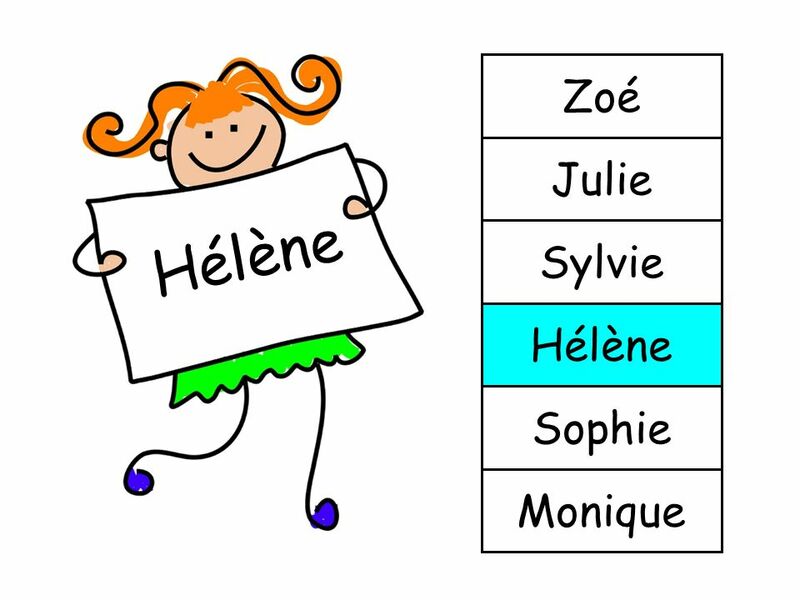 As you advance the slides, the name on the sign the character is holding will change and the class will hear it said in French. Click on the sign to hear it again. 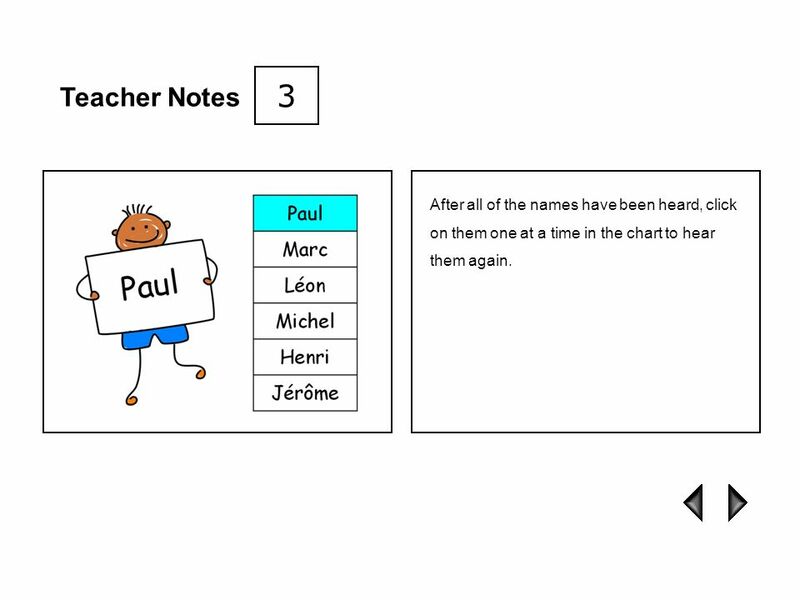 35 3 Teacher Notes After all of the names have been heard, click on them one at a time in the chart to hear them again. 36 4 Teacher Notes Do the same with the female names. 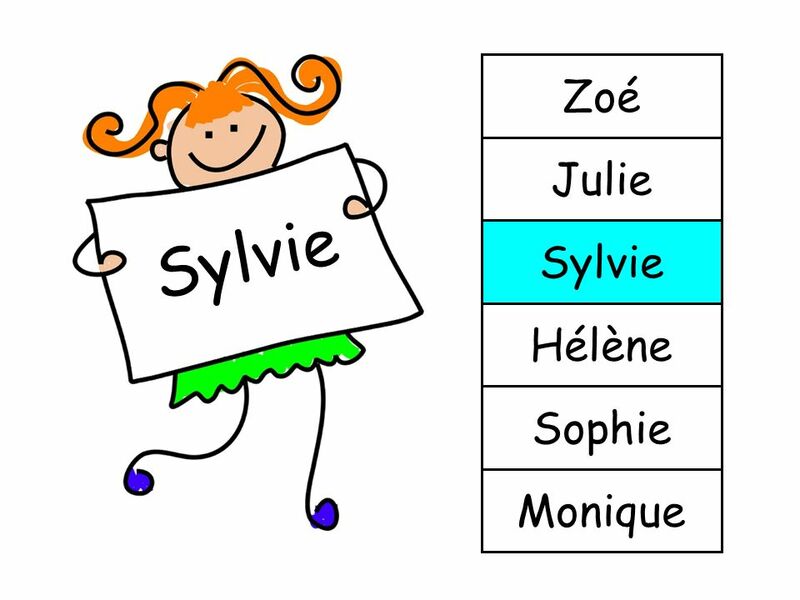 Ask children if any of the names (male or female) are similar to ones they know. 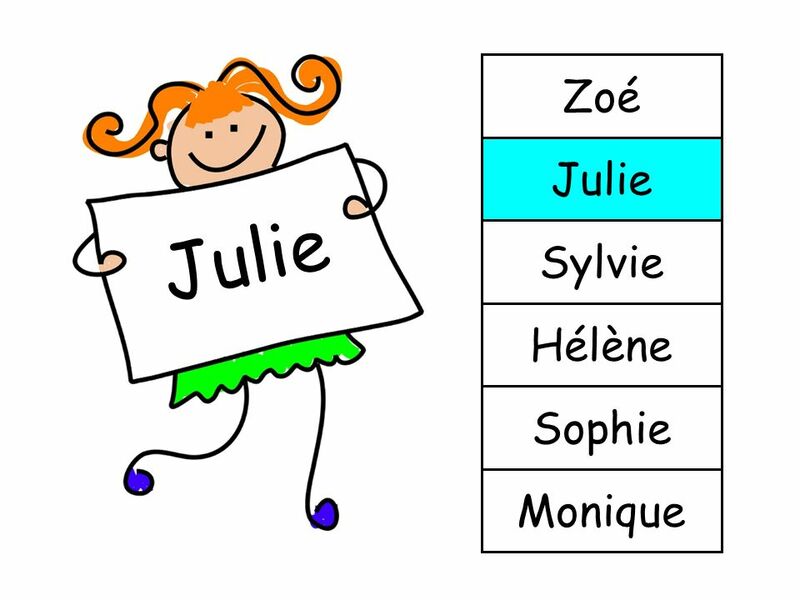 Did they hear any names with the sound j, on or u? 37 5 Teacher Notes Invite children to the board. 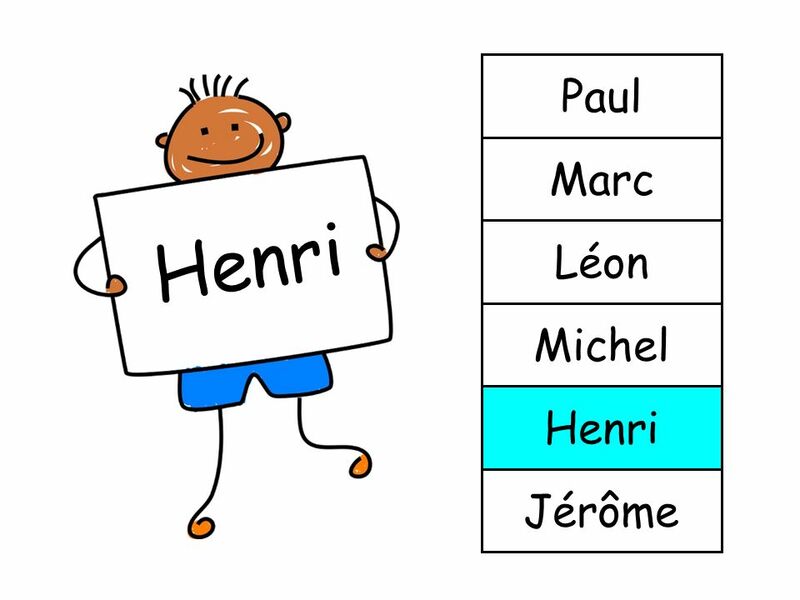 Say one of the names (or click on a name to hear it without them looking) and ask them to point to the one that they heard. 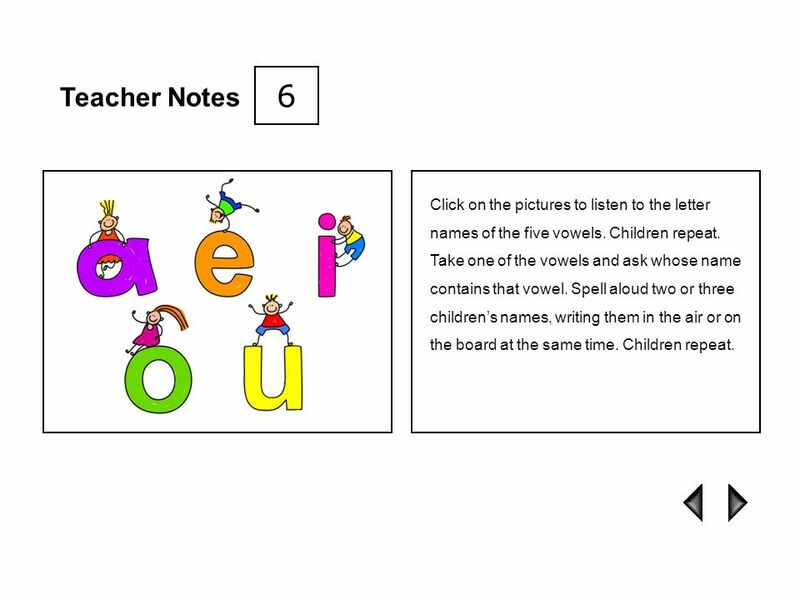 38 6 Teacher Notes Click on the pictures to listen to the letter names of the five vowels. Children repeat. 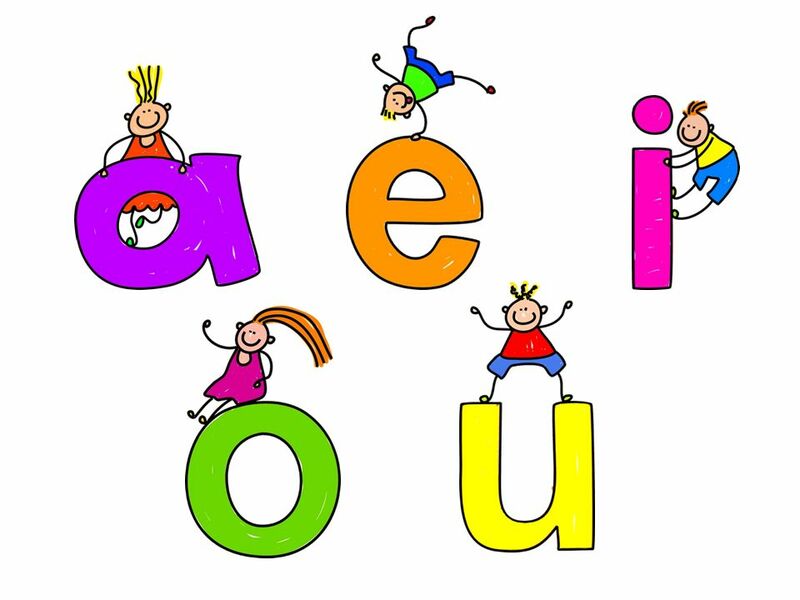 Take one of the vowels and ask whose name contains that vowel. 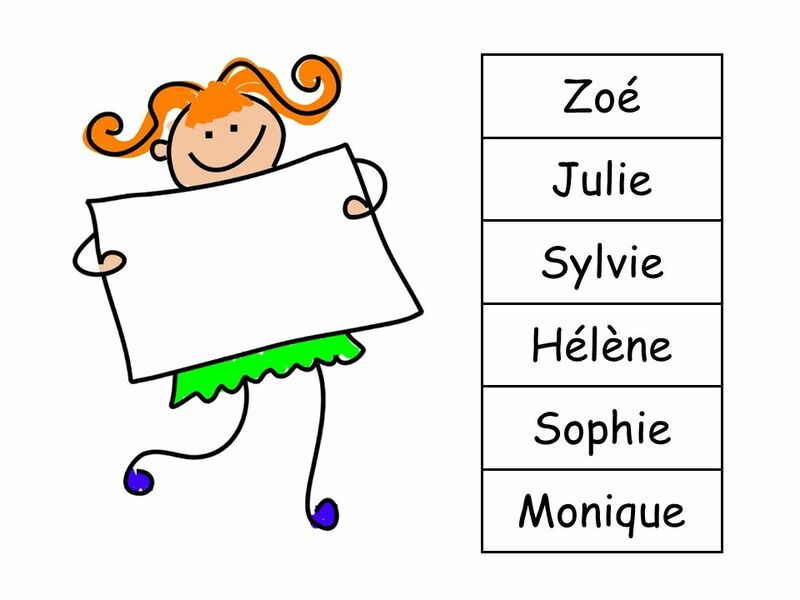 Spell aloud two or three children’s names, writing them in the air or on the board at the same time. Children repeat. 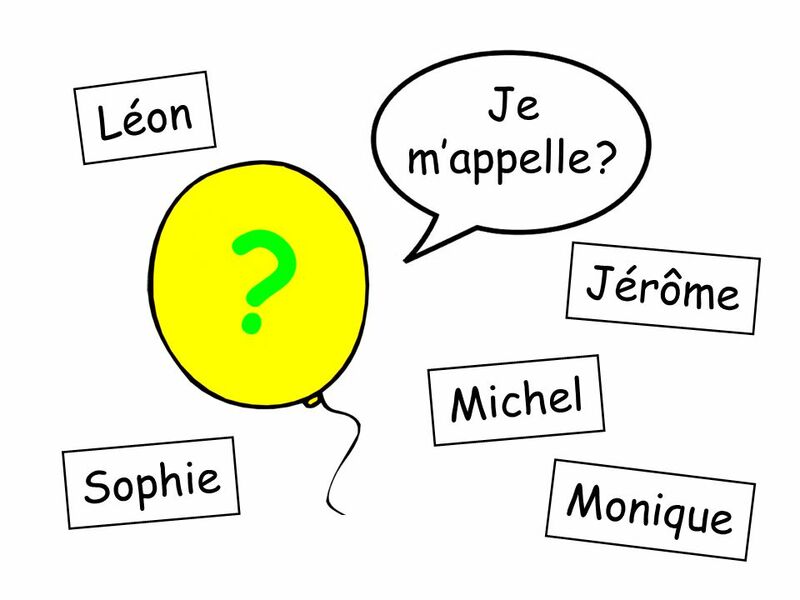 39 7 Teacher Notes Ask children to guess the name of the person hiding behind the balloon. 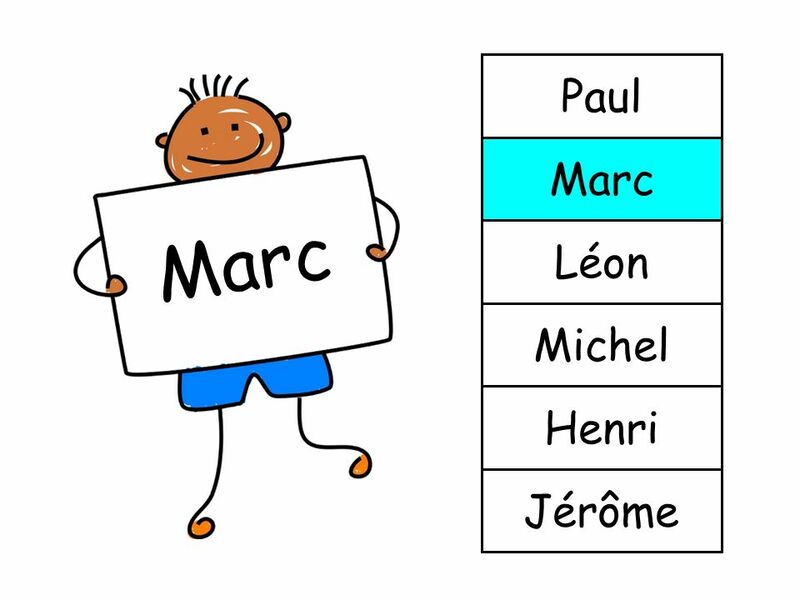 Ask the class the question C’est . . .? (Is it ?). Click on any of the names to hear this. 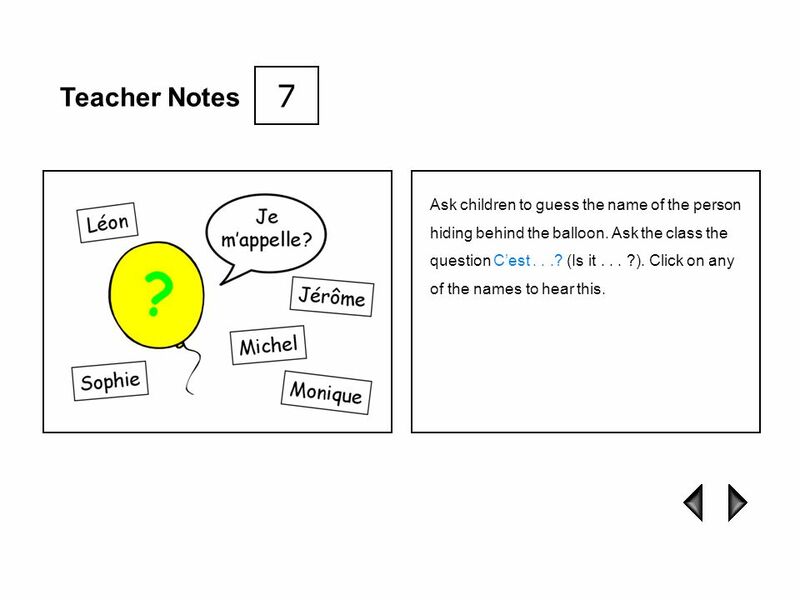 40 8 Teacher Notes Click on the balloon to reveal who is behind it. 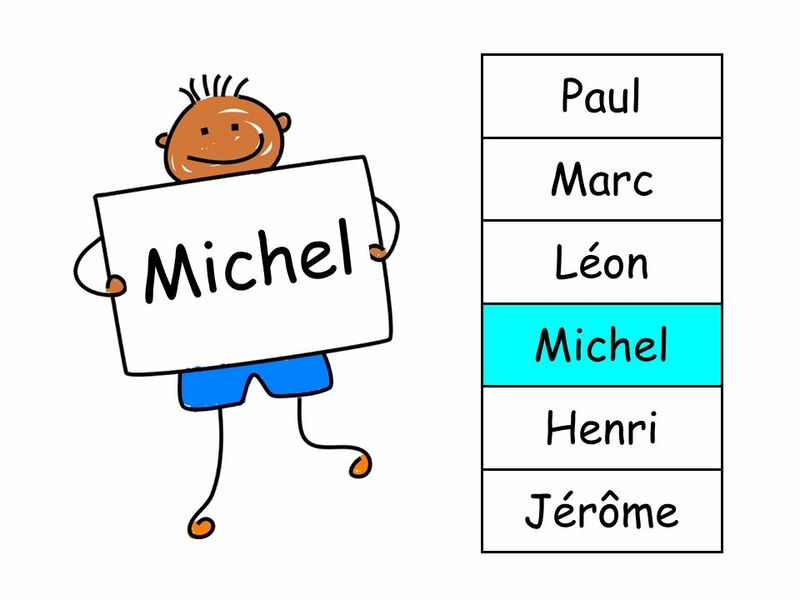 Click on the character to hear him or her say their name. Repeat the process over the next set of slides for all of the characters. 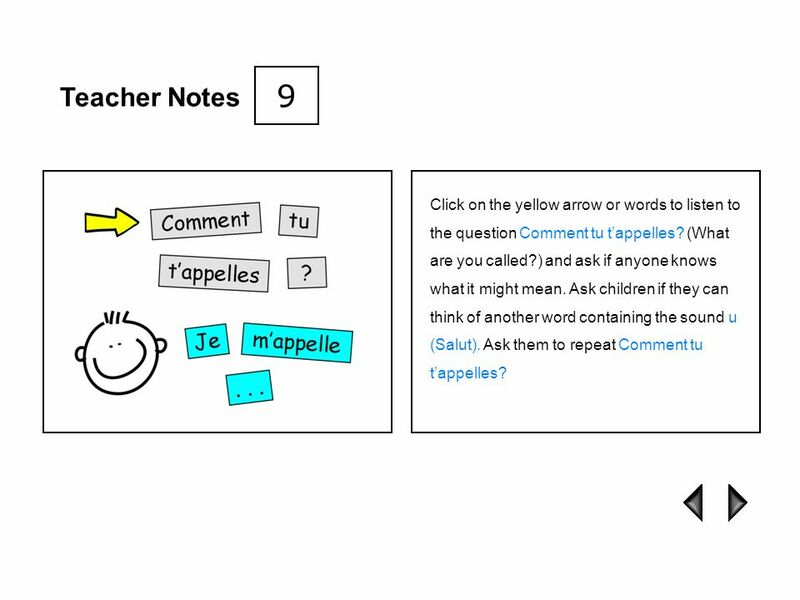 41 9 Teacher Notes Click on the yellow arrow or words to listen to the question Comment tu t’appelles? (What are you called?) and ask if anyone knows what it might mean. 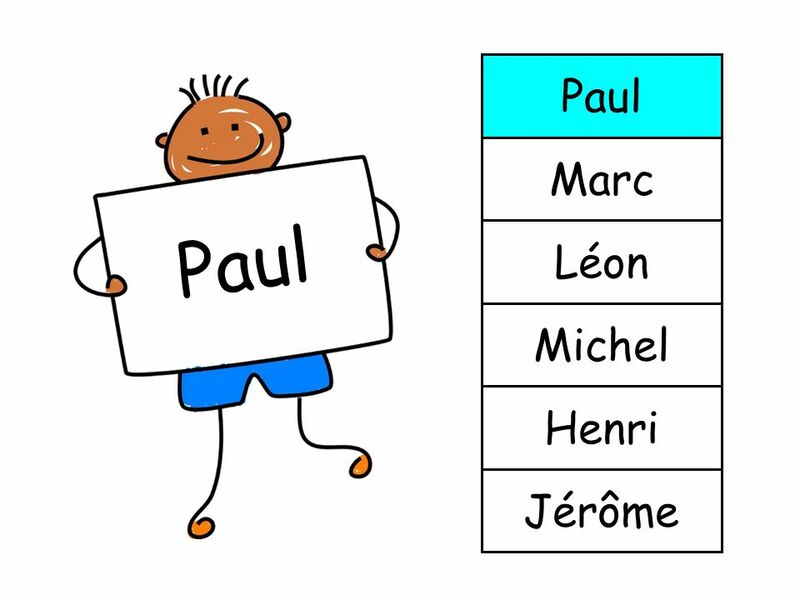 Ask children if they can think of another word containing the sound u (Salut). 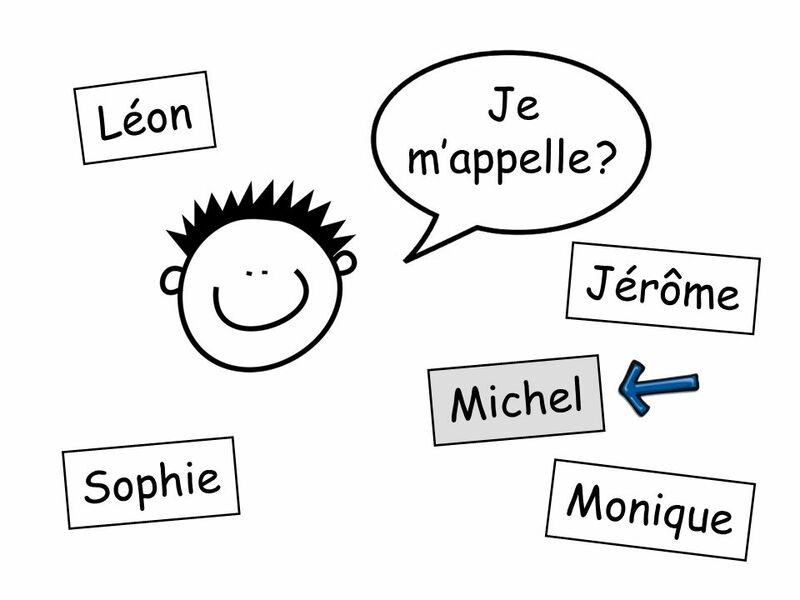 Ask them to repeat Comment tu t’appelles? 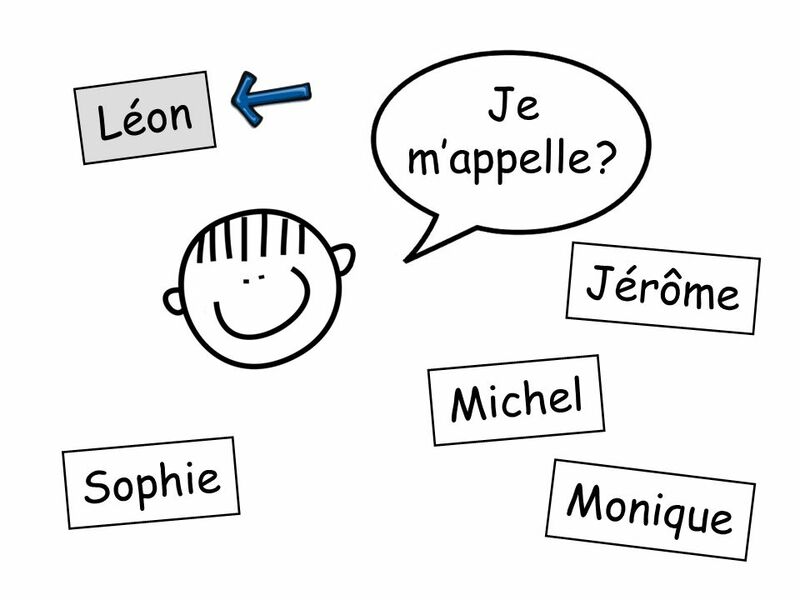 their back to the class and asks Comment tu t’appelles? 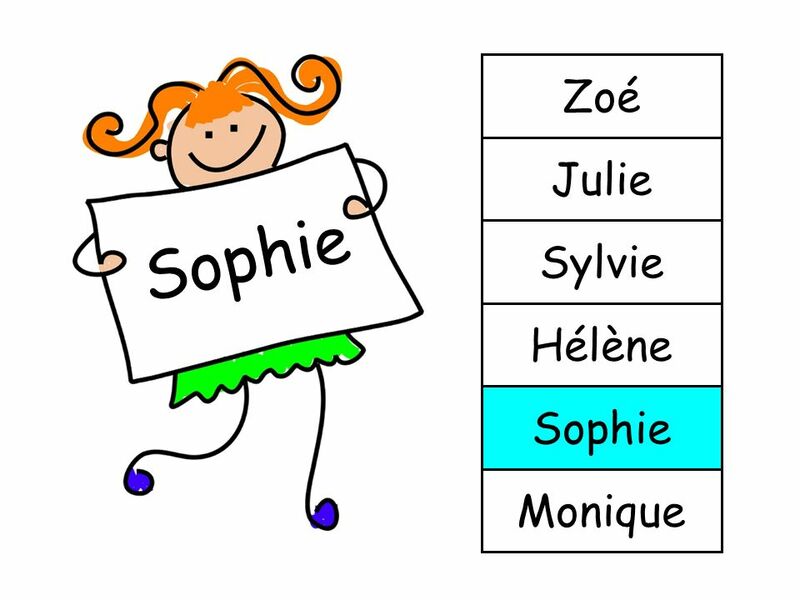 Silently point to another child who disguises their voice and says Je m’appelle plus the wrong name. 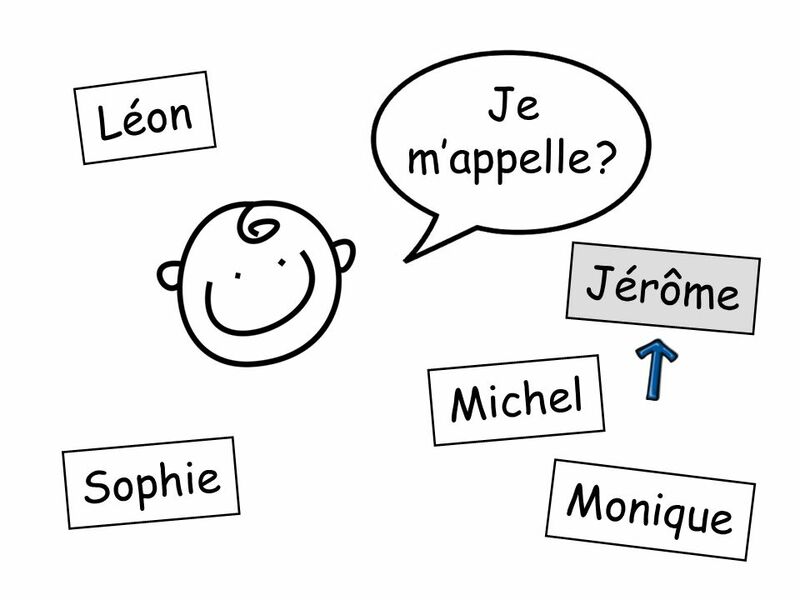 The first child says C’est …? 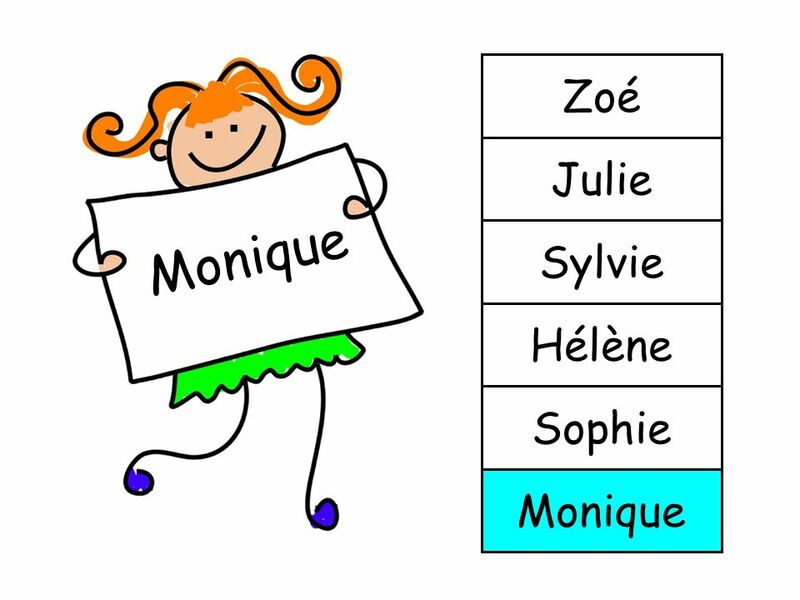 The class respond with Oui / Non until the first child guesses correctly. 43 11 Teacher Notes Ask the question Comment tu t’appelles? 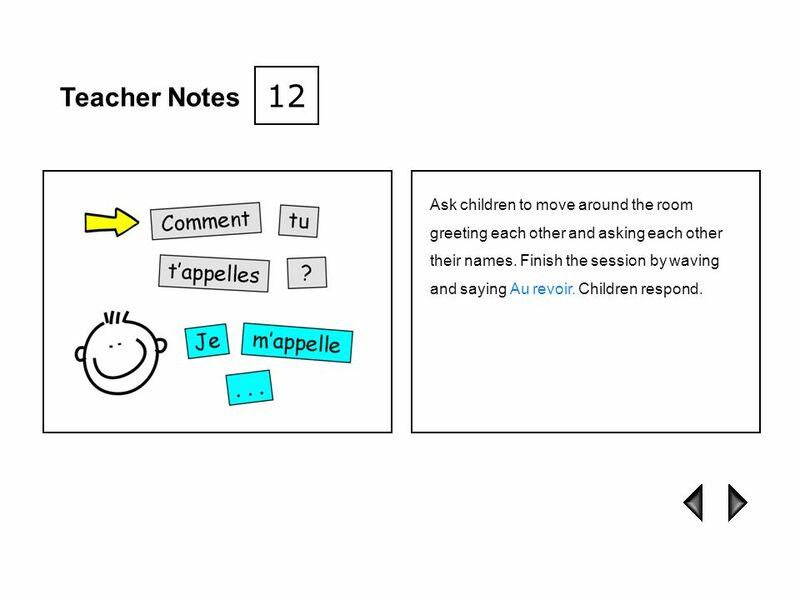 around the room, so that children can respond individually. 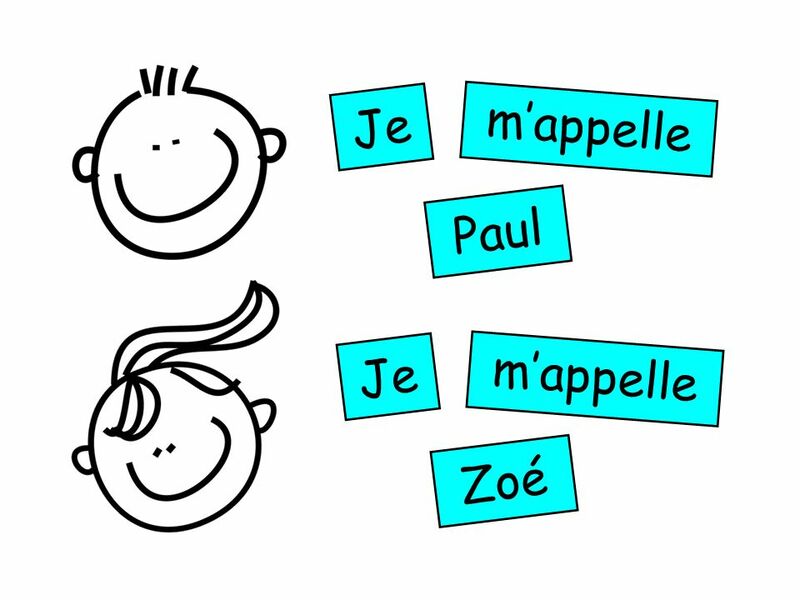 Focus on the j sound and remind children of the same sound in Bonjour. 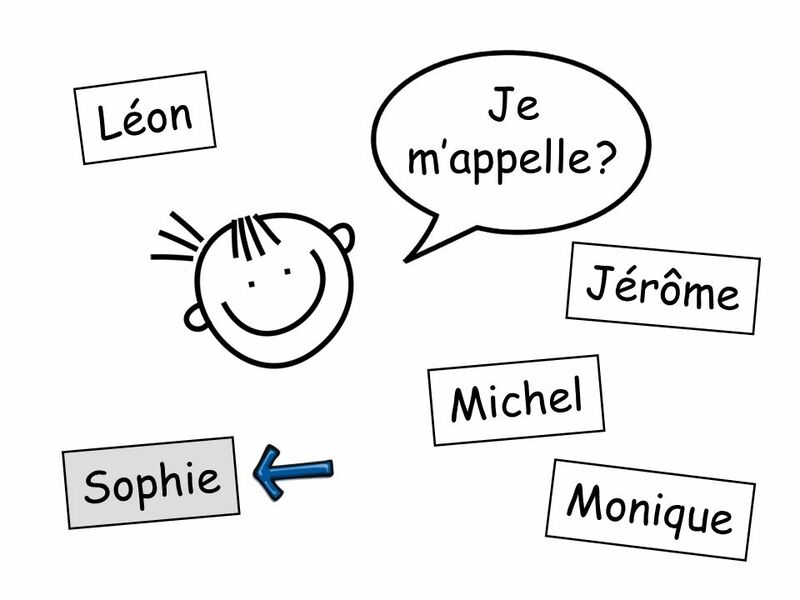 44 12 Teacher Notes Ask children to move around the room greeting each other and asking each other their names. 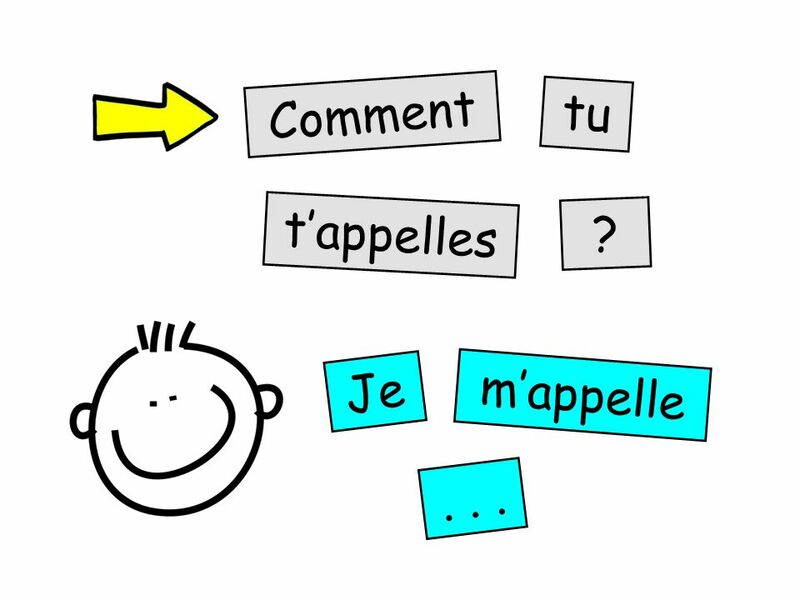 Finish the session by waving and saying Au revoir. Children respond. 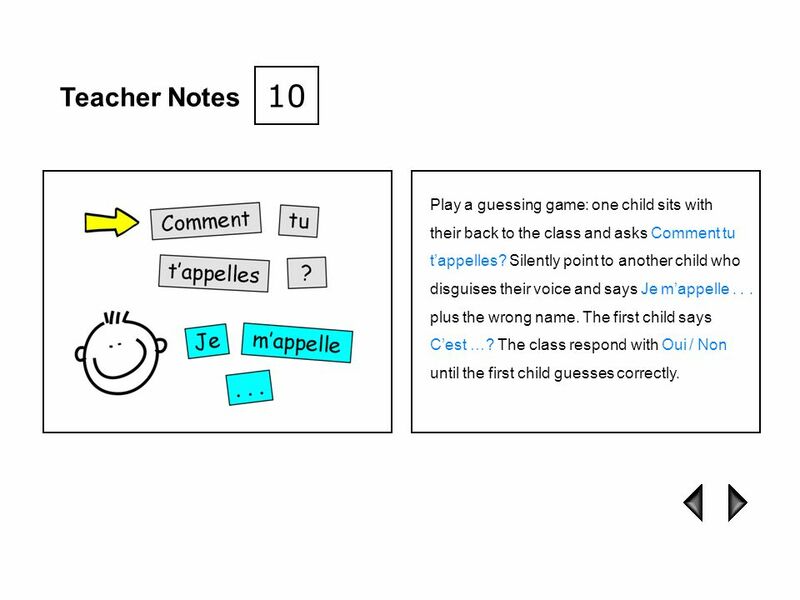 for worksheets that could be used with this presentation. All images in our presentations are licensed to us by Dreamstime.com and are copyrighted. Sound recorded at TEFL Audio, the UK’s leading language recording studios. 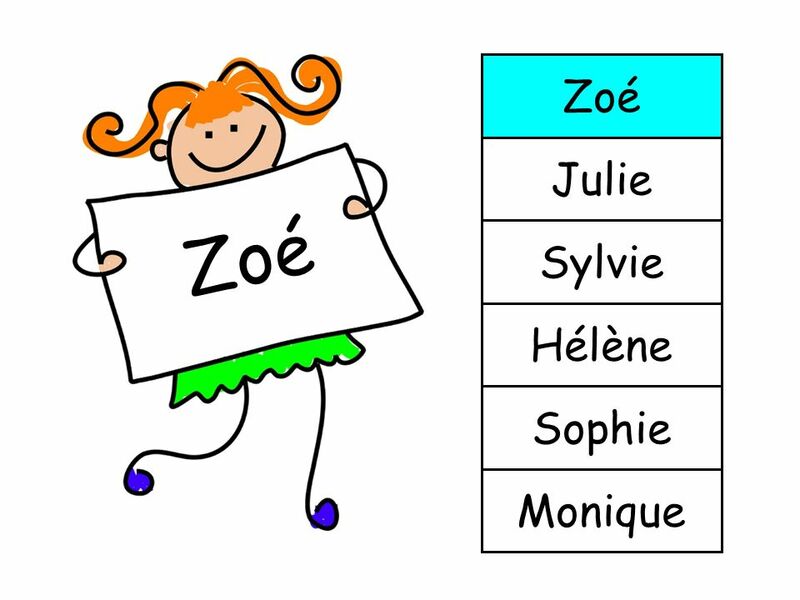 Télécharger ppt "Primary French PowerPoints What’s Your Name?."